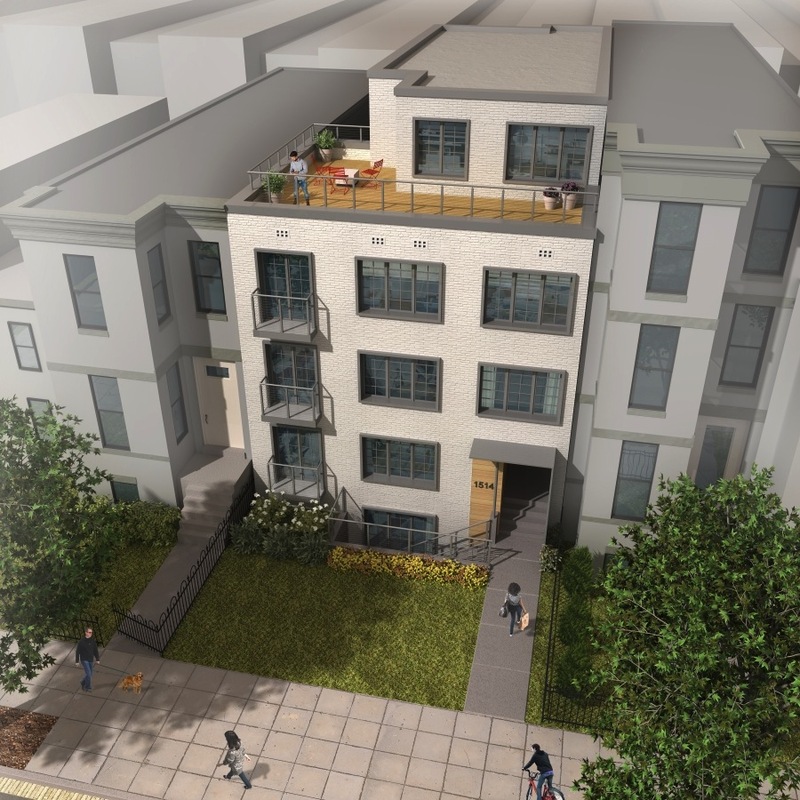 Lock 7 Development has unveiled a new rendering for its unique halfway house conversion at 1514 8th Street NW. The former 40-room Efforts from Ex-Convicts building will be converted into nine apartments with three compact car parking spaces. Located near City Market at O Street, the residences will consist of eight two-bedrooms and one single-bedroom. The plans were recently approved by Advisory Neighborhood Commission 6E, District Source reported. The current building does not follow zoning rules for lot occupancy, court width and rear yard lines. To meet the parking requirement of three spaces, the developer is seeking approval for compact spaces that measure 8′ by 16′, because regular 9′ by 19′ spaces would not fit on the lot. Construction will commence this winter and continue through late fall to early winter in 2015, according to the developer’s site.